time snack. These biscuits not just sweet and salty but their ajwain taste makes them all the more appealing. 1. Mix maida, salt and baking powder and pass through a sieve. Add 1/2 tsp ajwain. 2. In a separate bowl, mix butter and sugar. Beat it till it becomes light and fluffy. 3. Mix this butter-sugar mixture to maida to form a soft dough. 4. Pinch small balls from this dough and flatten between your palms. 5. 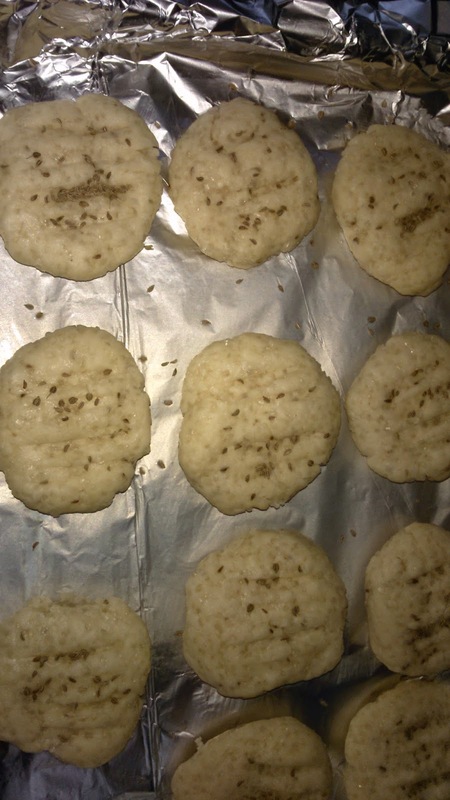 Press upper sides of cookies lightly with a fork and sprinkle rest of the 1/2 tsp ajwain over them. 6. Take a baking tray and spread aluminium foil or cookie sheet over it. Grease it with few drops of oil or butter. 7. Preheat oven at 180 degree C for 10 minutes. 8. Place uncooked cookies on baking tray, a few distance apart. 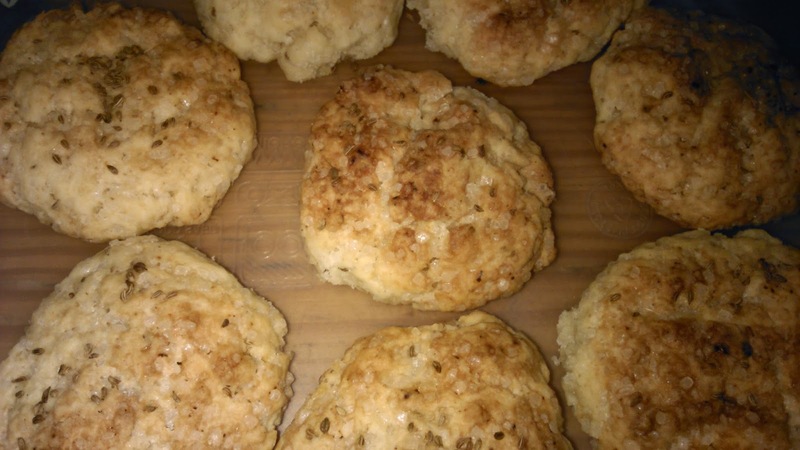 biscuits or cookies will look brownish. Take the tray out of oven. 10. Let the cookies cool for about 10 minutes before removing from the tray. Enjoy your ajwain cookies!